Included in your program fee are a range of activities and a 3-day excursion to Vienna which will take you outside Salzburg and deepen your social, historical and cultural understanding of Austria. Innsbruck, the capital of Tyrol, lies at the very heart of the Austrian Alps and is famous for its winter sports - it has twice been host to the Winter Olympics. Your day trip will include a walking tour of the picturesque 16th and 17th century Baroque buildings with the impressive Nordkette Mountains as a stunning backdrop to sites including the 14th century Stadturm, the Goldenes Dachl (Golden Roof), the Triumph Gate and the ‘Hofburg’, the residence of the Royal Hapsburgs in Innsbruck. You will then have free time to explore and browse the late-medieval Altstadt (Old Town). Includes transportation, sightseeing, local guides and entrances as indicated. The traditional heart of the Habsburg Empire, Vienna is the dynamic capital of central Europe and center for international diplomacy, finance and culture. Take a walking tour of major sights of historic Vienna including the Art History Museum. Enjoy free time to explore Vienna where you can visit coffee houses, museums, theater, musical events or other night life. Visit Schönbrunn Palace, former residence of Habsburg Emperors and tour Melk Abbey, one of the world’s most famous monastic sites located above the town of Melk overlooking the Danube River. Includes accommodations, breakfast, transportation, sightseeing and entrances as indicated. 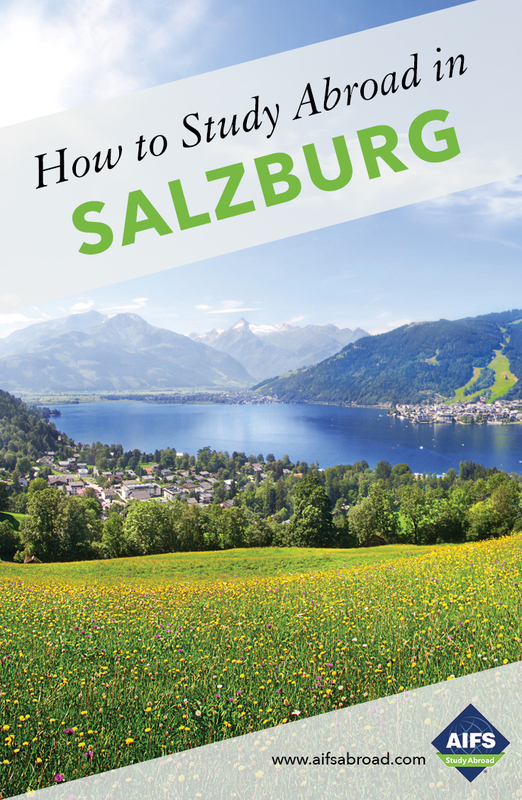 Begin your semester with a 2-night visit to London en-route to Salzburg. Take a sightseeing tour with a professional guide who will point out some of London’s most famous landmarks including Buckingham Palace, Westminster Abbey, the Houses of Parliament and the Tower of London. Have time to explore the city on your own where you can take in the gorgeous parks and gardens, see a play in the West End or shop for vintage clothes at Camden Market. Includes accommodations, breakfast, sightseeing tour and a local guide. Famous for its folklore and traditions Munich retains its Bavarian Gemütlichkeit (coziness). Take a walking tour of the city center to see the most famous sights including the Nymphenburg Palace and the Glockenspiel and enjoy some free time to explore the world-class museums, elegant parks and plazas. Fee includes transportation, sightseeing, local guides and entrances. A minimum of 15 students is required for the excursion to run. Prague is one of the most beautiful cities in Europe, quirky and cultured in equal measure. During your time in Prague take a guided tour of the huge Hradcany Castle complex, including the cathedral, the 14th century Charles Bridge and the architectural artistry of Malá Strana. Enjoy free time to stroll down Golden Lane, once a favorite of alchemists, or explore the Prague Ghetto, which includes Europe’s oldest cemetery. On your return, enjoy free time in the medieval town of Cesky Krumlov. Fee includes accommodations, breakfast, transportation, sightseeing and entrances as indicated.